We’d love your help. Let us know what’s wrong with this preview of Teddy Bear Twins Sticker Paper Dolls by Nanette Hilton. Two adorable teddy bears come with outfits and accessories for fishing, painting pictures, and doing a night on the town. 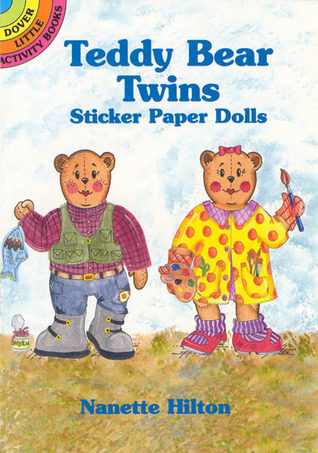 To ask other readers questions about Teddy Bear Twins Sticker Paper Dolls, please sign up. I remember this kind of book when I was a kid it helped me figure out where the stickers go on the paper dolls.